Offering a larger screen and greater power than a netbook, without sacrificing mobility, CULV laptops are the latest mobile computing success story. 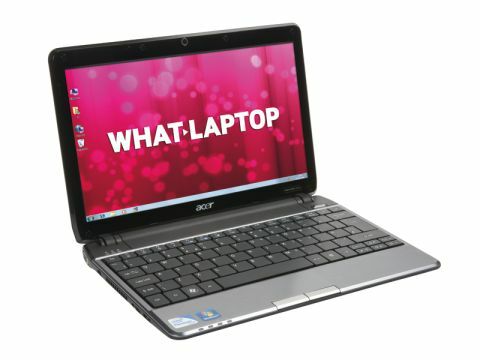 Acer's Aspire 1810TZ-413G25n is one of the best we've seen so far, impressing in all areas, including price. Built around a similar chassis to Acer's Ferrari One, the sleek design and sturdy plastics make this laptop as stylish as it is resilient. Available in a choice of red, blue or black, faux-aluminium plastics add a high-quality look without adding any extra cost. Weighing 1.5kg and with a depth of 32mm, comfortable mobility is provided for frequent travel use. This is backed up by the fantastic 594-minute battery life. The use of an ultra-low voltage Intel processor aids mobility, thanks to its low power requirements. Of course, this also results in limited performance, but we found the Acer surprisingly proved to run far faster and smoother than expected. The keyboard is large and spans the width of the chassis. Usability is fantastic and long-term use is comfortable at all times. The touchpad provides gesture control functionality, allowing you to zoom and scroll images and documents with a quick pinch or swipe of your fingers. The 11.6-inch Super-TFT screen features a 16:9 widescreen aspect ratio and it is easy to work with multiple windows open simultaneously. While the screen is bright and sharp, colour reproduction and contrast are less impressive, leaving images appearing washed out at times. An integrated Intel graphics card provides 3D power. While performance is inevitably limited, you can comfortably watch videos and perform basic photo editing tasks. Images can be output to external displays via HDMI or VGA, if you prefer a larger or more vibrant picture. The capacious 250GB hard drive means even the busiest laptop user can store their work files and music collections with ease. As with most CULV laptops, there is no integrated optical drive, but a 5-in-1 card reader is in place for easily sharing files with other mobile devices. Fixed and wireless connectivity is also strong, with high-speed 802.11n Wi-Fi and Gigabit Ethernet in place. Unfortunately, there is no Bluetooth for wirelessly sharing files, but three USB ports are in place for connecting multiple peripherals at home or in the office. By providing stunning mobility without greatly sacrificing performance, the Aspire 1810TZ effortlessly hits the sweet spot required of a CULV laptop. Add its stylish looks, bright screen and great usability and you've got a fantastic portable, at an equally tempting price.